CHARLIE ROSE: And [global warming's] s man created? STEVEN LEVITT: It's harder to know whether it is man created. It's always harder to know why something happened the way it did. CHARLIE ROSE: Because people want to duplicate your success, they always ask this question, how does the find the story which you finally have told us? MALCOLM GLADWELL: [I]t's about teaching yourself that everything is interesting, because our natural inclination as humans is when we're confronted with things, to try to edit. And we have to dismiss things and say I'm not interested in that and I'm not interested in that. And as a writer I think you have to... you have to reverse that very common human desire to edit and just to surrender. This is one of those unintentionally perfect answers that an interviewer dreams about. Later in the interview, Gladwell was talking about the "10,000 Hour Rule," which I did my best to mock in a review of his recent book, Outliers. The idea is that you need 10,000 hours of practice to be really, really great at something (why exactly 10,000 hours?? don't ask...). 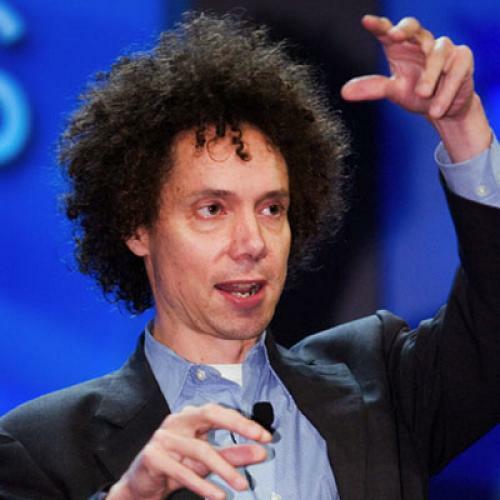 MALCOLM GLADWELL: "Outliers" is a book of many themes. CHARLIE ROSE: Practice, practice, practice, practice and it's studied practice. MALCOLM GLADWELL: It's this idea that outsiders always underestimate the amount of work that goes into expertise. What is interesting about the 10,000 hour rule which I talk about in Outliers is not that you need to practice to be good. We knew that. It's that you need to practice that much. Who would have said it was ten years of practice to get good? We would have said maybe five or four or three. It's that ten that's so...it's just the sheer vastness of the preparation and that's what's amazing to the outsider. CHARLIE ROSE: Everyone always has this question when I tell them your story and hand your book out to people, and they say what does that say about gift and superb talent? MALCOLM GLADWELL: I remain -- I'm uninterested in that topic. CHARLIE ROSE: Which one? The relation between gift and practice? MALCOLM GLADWELL: No, I'm not interested in natural gifts. I know they exist and I know there is such a thing as natural talent, but I just feel so what, right? Apparently there are some things that are uninteresting! The cumulative effect of watching both of these interviews was to make one feel enhanced respect for experts and for the peddlers of conventional wisdom. Here are three guys who style themselves as being unconventional and bold and generally at an angle from received opinion. And yet after watching them talk for an hour, I felt like I was being sold a bill of goods by people who did not know what they were talking about.